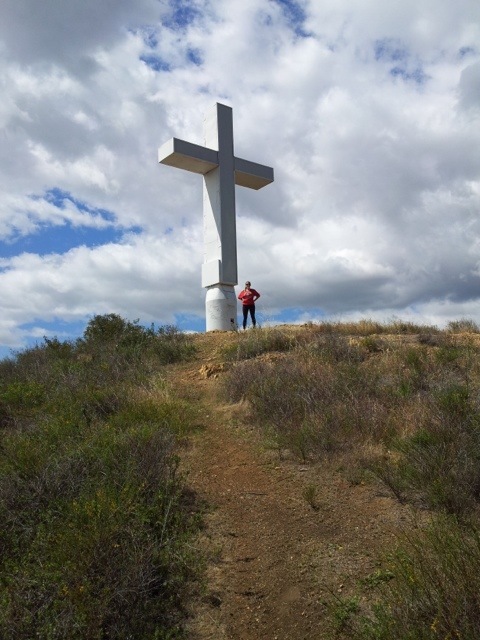 Last Saturday, my friend, Luke and I decided to do a hike I have wanted to do for almost five years; the hike to the cross. 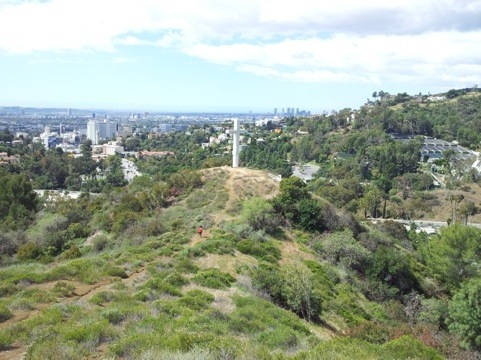 Right off the 101 highway and Highland is a cross that stands majestic over the Ford Theater. It was today that I would conquer that hike. Luckily for us, there was no sign nor path leading us to the cross, and it had rained the day before. This made climbing up mud a delight! Once we realized it was best to run up the hill before the mud dropped from under our feet, the path from one hill to the next became slightly less stressful. We then jogged to the cross! As many things are in life, the cross wasn’t as happy to see us as I had thought. 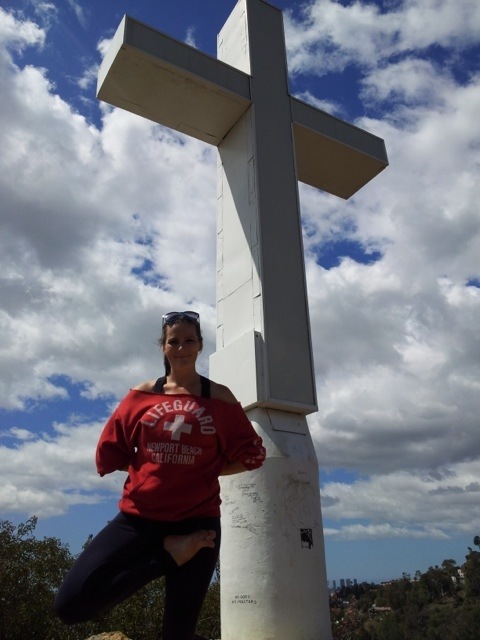 Years of homeless men dwelling in its shade and angry preteens graffiti-ing its base had taken its toll on the old thing, however I finally reached the cross I had hoped to hike to after all these years (plus we got some pretty nice pictures).